Probably doesn't mean anything, but I did see some surveyors on that block a couple weeks ago. 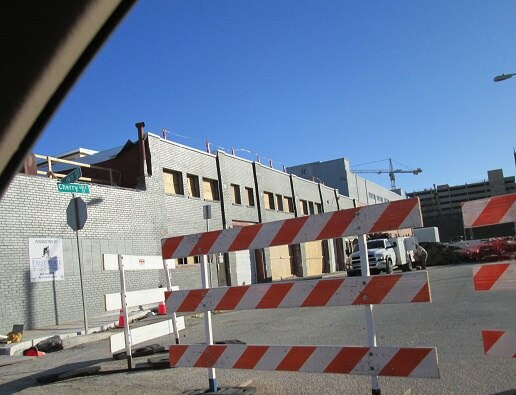 JBmidtown wrote: Hey what’s going on with the warehouse building across from the substation on 19th and Cherry? 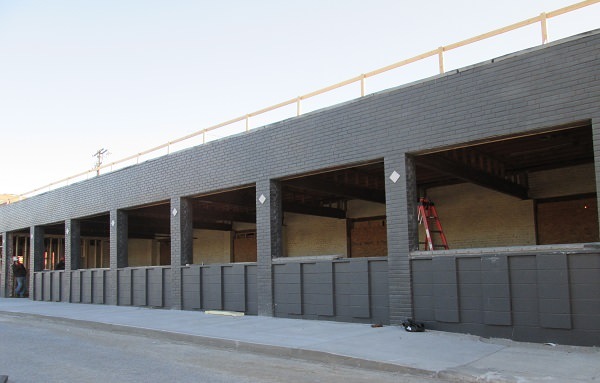 The Abbott KC event space under construction. “We believe it will be sold for someone to develop as a multi-use project with multi-family residential,” said Stacey Paine, president of Crown Center Redevelopment Corp. a Hallmark’s real estate subsidiary. most of this site's recommended height (per GDAP) is 75’ / FAR 5-10. a westernmost sliver is 130’ / FAR 10.
the goal was to make grand the high point and scale down to the east and west. if you built higher there you'd need a lot of structured parking since it's not well served by transit today. ^Nothing wrong with that, same can be said for any tall building not near transit. Though a bikeshare station would help a bit. Don't see the need for a recommended height, especially given the access to 71 not far. The Kemper is closing its' Crossroads location. the proposed vacation of 17th street is very likely dead. neighborhood has asked for temporary traffic measures to deal with the movement of heavy equipment. herc also confirmed the parcel facing 18th street has sold. no idea what the plans are for that site. Plexpod has acquired the Think Big Coworking operation at 1712 Main St., the latest development in the fast-growing downtown shared-office space market. Think Big Partners opened its co-working space in the historic Globe Storage and Transfer Co. Building at 1712 Main in 2015. KCPowercat wrote: East and West store permit at 1828 Grand...could it be this place? I talked to a business owner in crossroads who confirmed this was the case. Looks like the men's clothing selection downtown is improving, at least on the higher end. An expansion of an existing store is also in the works. Both will be open about Q1 2018. Is Michael's the store that is expanding? not crossroads and not Q1 of 2018, but houndstooth expanded into the basement in the river market with a denim concept. looks like he's doing well there, which makes me very happy. KobiQ in old czar bar space (pic posted somewhere else on here) and Ron Rico opening next to border brewery in east crossroads. Can't find any real info on either of them. Nothing solid but there was a KobiQ in Jersey that was Korean BBQ. Ron Rico = rum bar? Xroads and downtown need more retail, not eats/bars. FangKC wrote: The Kemper is closing its' Crossroads location. I mentioned this elsewhere, but I think the new restaurant in the Czar Bar space will be operated by folks associated with Domo in Brookside and it will be Korean BBQ focused. I heard this over a month ago, so I could be mixing up memories. I was told then they were still trying to figure out what to do with a space in the back of the restaurant, and that it could be a cocktail area. Funny how it came full circle...but Haw is one of my favorite galleries so that is awesome! Keep the Crossroads for the arts! As we know, single use anything is hard to afford. I picture more ground floor spaces that can hold a cafe during the day that services local workers a and residents and the chairs and tables be put away and the space functions as an art space too. The same kitchen can be used for catering during a gallery event. Yeah, that's why I posted the pic of KobiQ... didn't seem to exist online anywhere, which is weird anymore.